Pineapple is a sweet, nutritious fruit. A single pineapple is, in fact, a collection of multiple fruits; having nutrient factors of many fruits. Pineapples are a composite of many flowers whose individual fruit lets fuse together around a central core. Pineapples have exceptional juiciness and a vibrant tropical flavor that balances the tastes of sweet and tart. Pineapples are loaded with vitamin A and C, fiber, potassium, phosphorous and calcium. 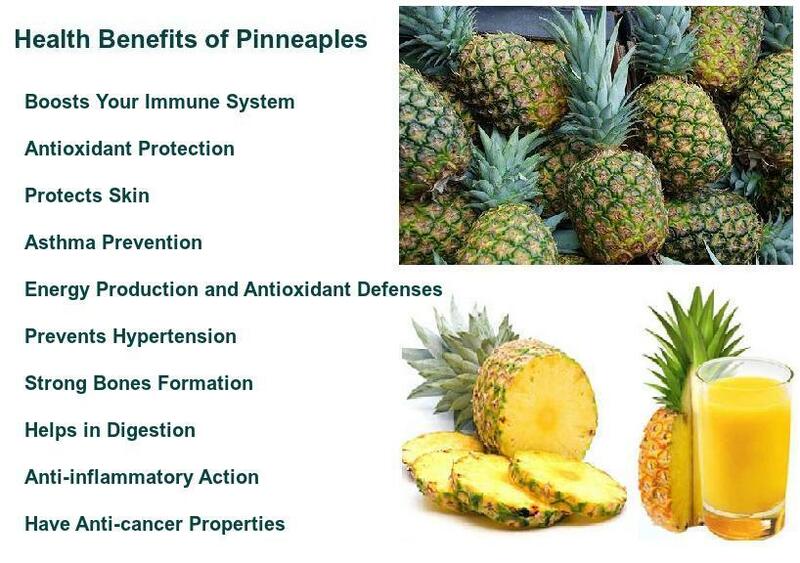 There are wide range of health benefits of Pineapple, which we will see below. Many people feel a tingling, sometimes-burning sensation when they bite into fresh pineapple. Let’s know the reason yhy our mouth burns when we eat pineapple, and how to avoid it. Pineapples contain a plant protease enzyme called bromelain. Because it readily breaks down protein, bromelain is frequently used as a natural meat tenderizer. In addition, bromelain may also induce a prickly sensation in the mouth when consumed. Although the enzyme is present in all parts of the pineapple plant, it’s most concentrated in the stem, the hard piece in the middle of the fruit, which is much more fibrous and chewy but still edible. Pineapple a tartary, citric as well as a deliciously juicy fruit. Though Pineapples are great for women who are going through their menopause, they are certainly not recommended for pregnant women. 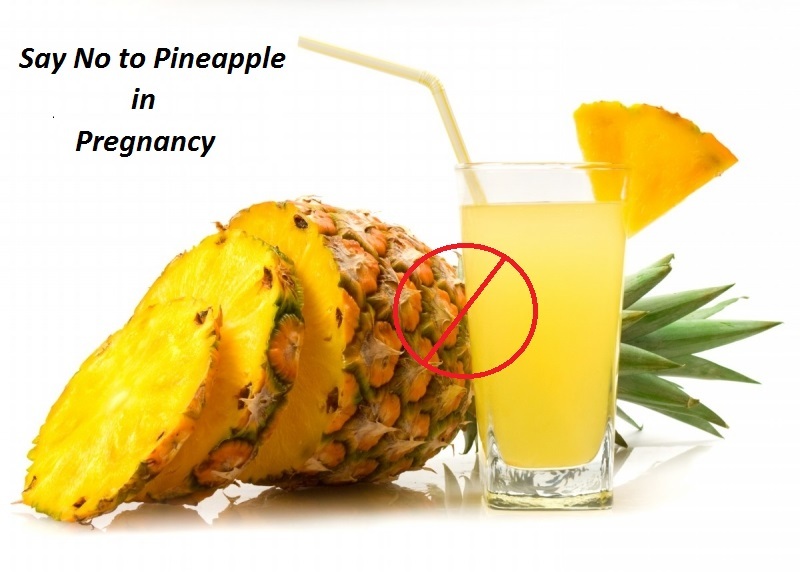 Pregnant women should keep away from consuming Pineapples as they pose multiple hazard risks for the unborn child. Here are some of the major reasons why you should be staying away from consuming Pineapples during the course of your pregnancy. 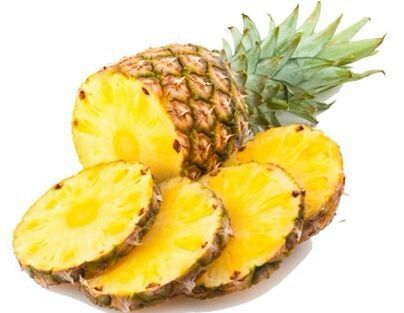 Though a Pineapple is a fruit which is rich in minerals and proteins and can help you get rid of problems such as a sore throat or stomach infections; it should not be consumed by pregnant women as it tends to increase the chances of abortion. If a pregnant woman consumes Pineapple during the early course of her pregnancy, there is an increased chance of uterine contractions which are quite dangerous for the unborn baby. Therefore, it is recommended to stay away from fruits such as Papaya and Pineapple while you are pregnant. A Pineapple is a highly dangerous fruit for women during the third trimester of their pregnancy. Research has claimed that a fresh Pineapple contains Bromelain which tends to soften the mouth of the cervix, which often leads to Diarrhea. Pineapples are also known to induce heartburn in women who are pregnant. Pregnant women in third trimester should not use much juice of pineapple so much because it may cause miscarriage that lead to bleeding. Because the pineapple has bromelain that causes softening of uterus. Pineapple is also rich in vitamins and minerals like vitamin B-6, folate, riboflavin, thiamin, pantothenic acid, magnesium, manganese, potassium, and antioxidants namely beta-carotene. Vitamin C in pineapple boosts your immune system due to its strong antioxidant effect. Here is another excellent post to know more about vitamin C rich foods. Vitamin C is the body’s primary water-soluble antioxidant, defending all aqueous areas of the body against free radicals that attack and damage normal cells. The antioxidant vitamin C, when eaten in its natural form (as in a pineapple) or applied topically, can help to fight skin damage caused by the sun and pollution, reduce wrinkles and improve overall skin texture. Pineapple contains beta-carotene a nutrient which protects from Asthma. Pineapple is an excellent source the trace mineral manganese, which is an essential cofactor in a number of enzymes important in energy production and antioxidant defenses. Pineapple is best recommended for persons having hypertension and for those suffering with high blood pressure problems, as a high amount of potassium and low amount of sodium presence in pineapples helps to maintain the normal blood pressure levels. The rich amount of manganese present in pineapples helps in strengthening bones and connective tissues. A cup of pineapple juice gives you roughly 73% of the required manganese for a day. Pineapples are rich in fiber and water which help to prevent constipation and promote healthy digestion. Pineapple fruit is very much known for its anti-inflammatory properties which prevent inflammation in arthritis patients and gives strength to the bone. Health Benefits of Pineapple as by having anti-cancer properties. The abundance of antioxidants in pineapples helps fight against the free radicals. This halts the process of cell damage, preventing several types of cancers. Thanks for posting this tips with us.